DO YOU EVER wonder why, in the United States, Greeks frequently operate coffee shops, Koreans and manicures go hand in hand, and the Jews traffic in diamonds? Clustering in one or another niche—what academicians call the ethnic economy—Greeks, Koreans, and Jews come to their respective trades not out of any particular affinity for food service, personal grooming, or luxury, but thanks, or no thanks, to highly specific and contingent circumstances. History, not happenstance, often explains why people take up certain occupations and not others. Earlier generations of theorists thought it more a matter of character. In The Protestant Ethic and the Spirit of Capitalism, Max Weber famously related economic behavior to religion and the state of grace inhabited by good Protestants. In The Jews and Modern Capitalism, a less well known but equally influential text of the early twentieth century, Werner Sombart attributed the distinctive economic profile of the Jews to their supposed talent for abstraction, a talent they allegedly developed while wandering around in the desert. Exercises in demystification, both books sought to account for why, when it came to making a living, some groups succeeded while others failed. Similarly, Alicia Oltuski’s book seeks to demystify a business known far and wide for its fidelity to discretion: the diamond trade. An industry where one’s word is one’s bond, and where bargaining rather than fixed prices are de rigueur, its geographical arc encompasses displaced persons camps in postwar Germany and treacherous diamond mines in South Africa, crowded stores on Manhattan’s 47th Street and the shiny showplaces of Las Vegas, where the “burning bulbs of hotel facades flickered like precious gems,” or so Oltuski effectively puts it. 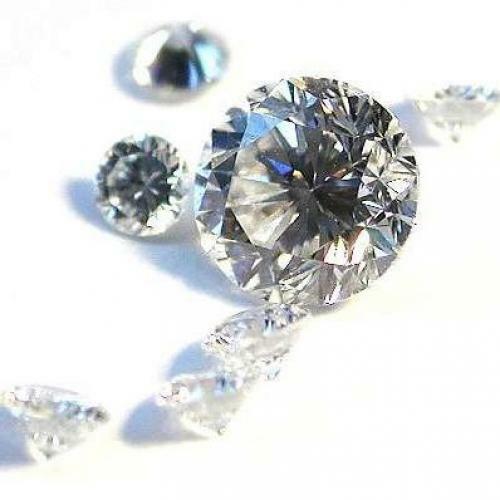 At once global and local, impersonal and intimate, the ins and outs of the diamond industry are grist for the writerly imagination. Oltuski is up to the challenge. The daughter and granddaughter of men in the business, she brings an insider’s perspective to the proceedings as well as a keen eye for the telling incident and quirky personal trait. Carefully chosen details about her family’s relationship to the diamond industry are strewn throughout the book. We come to learn that the Oltuskis love to tool around in a Mercedes; that the author’s mother transforms herself into a glittering billboard for the family business by wearing lots of sparkly things to a wedding or a bar mitzvah, and that her father’s fear of being robbed spills over into other forms of protective behavior. “My father hid us from the world just as fiercely as he hid his stones,” Oltuski writes, noting how she was forbidden to attend the annual Israel Day parade lest she be a target for terrorists. Most of the time, though, Precious Objects stints on the personal in favor of the functional. We approach the book eager to find out something about the diamond business that cannot be mined from other sources. But the vein of secrecy and restraint that characterizes it also runs deep within the author’s soul. We end up meeting a wide range of characters—brokers, dealers, and “privates,” the industry name for customers, as well as Hasidic diamond cutters who, wearing headphones and listening to Torah lectures, transform the “goods” into valuable commodities. We learn a lot, too, about how things work: how fair trade practice has spilled over from coffee beans into raw diamonds, complicating age-old ways of doing business; how hard it is to find two stones that match; how a former diamond broker named Martin Rapaport revolutionized, and scandalized, the business by going public with the way it operates. Printed on red paper, the Rapaport Diamond Report, also known as the “Rap Sheet,” brought an unwelcome degree of transparency to what had been a “labyrinth of secrets.” Along the way, we also discover that diamond dust seeps into the ventilation system of brokers’ offices, leaving a slight film on everything and everyone, and that the possibility that a stone hails from Sierra Leone or Zimbabwe, where it is labeled a conflict or a blood diamond, casts a pall over the entire industry. All of these things are good to know, especially if you happen to be in the market for a pair of diamond studs or an engagement ring. But much of the book seems, well, ho-hum: there is far too much reportage and not enough analysis or argument. Having hoped for more than a nugget here and there, I would have liked to have put down this account newly enriched by insights into what it means to grow up in a household where diamonds are a familiar presence rather than a very occasional luxury. How do you see the world—and your place in it—when beautiful and costly objects are your family’s bread and butter? You won’t find the answer here. But for that, there’s always Zola.